Step 2 – Visit your doctor for an exam specific to your BasicMed requirement. Have your doctor fill out the remaining portion of the Medical Examination Checklist. This exam is required at least once every four years to the date of your last exam. Step 3 – After completing both steps 1 and 2, visit AOPA online to take a BasicMed course. Step 4 – After successfully completing the course and passing a quiz, you will be able to print out a BasicMed certificate of completion to be added to your logbook along with the FAA Comprehensive Medical Examination Checklist completed by your doctor. This exam (and quiz) must be completed every two years to the end of the month of your last completion. After completing these steps, all that is left to do is fly! This new rule not only has the ability to extend pilot’s flying careers but also outlines the types of aircraft and flight profiles that are still available for one taking advantage of the new rule. • No flying for compensation or hire, except in limited situations permitted by FAR 61.113 such as charitable flying, sharing costs of the flight with passengers, and flying in conjunction with a business, only if the flight is incidental to that business and does not carry any passengers or property for compensation or hire. For a complete breakdown of what is allowed and what isn’t under BasicMed and to start the process for yourself, visit AOPA on their website: https://basicmedicalcourse.aopa.org. Find this article & more in the Summer 2017 Skytech Advantage Owner & PiIot Magazine. 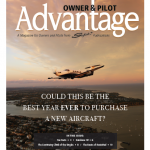 Click here to subscribe or read previous magazines. 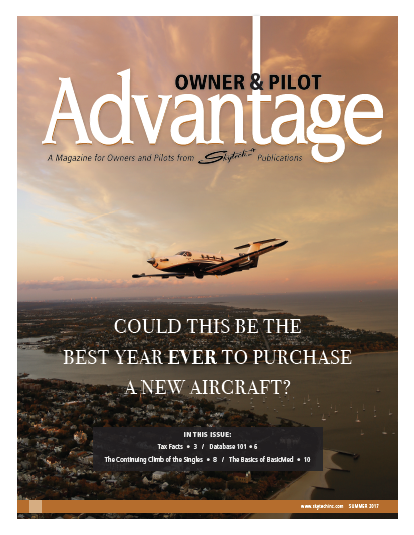 Categories: Blog | Tags: advantage magazine, basicmed, basicmed health, Basics of BasicMed, owner and pilot magazine, skytech advantage magazine, and Skytech inc. This entry was posted on Wednesday, January 17th, 2018 at 8:50 am. Both comments and pings are currently closed.